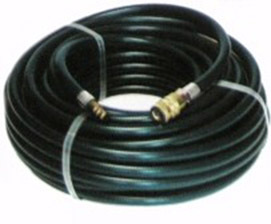 We sell Breathing Air Hoses. Specify size and type when ordering breathing air systems and hoses. The couplings pictured above are the most popular styles used on airline respirators. Need a price on Reconditioned Breathing Air Hose's?